This Digital Warm & Cool Mist Ultrasonic humidifier uses high-frequency vibrations to turn the water into a micro-fine mist that creates a comfortable environment in any room. Choose the pre-heating function and mist exits the appliance at a pleasant 104°F. A replaceable demineralization cartridge ensures water mist without lime scale or mineral residues. The included Hydro Cell uses activated carbon technology to help reduce heavy metals, impurities, odor causing chemicals and pesticides from your household tap water. 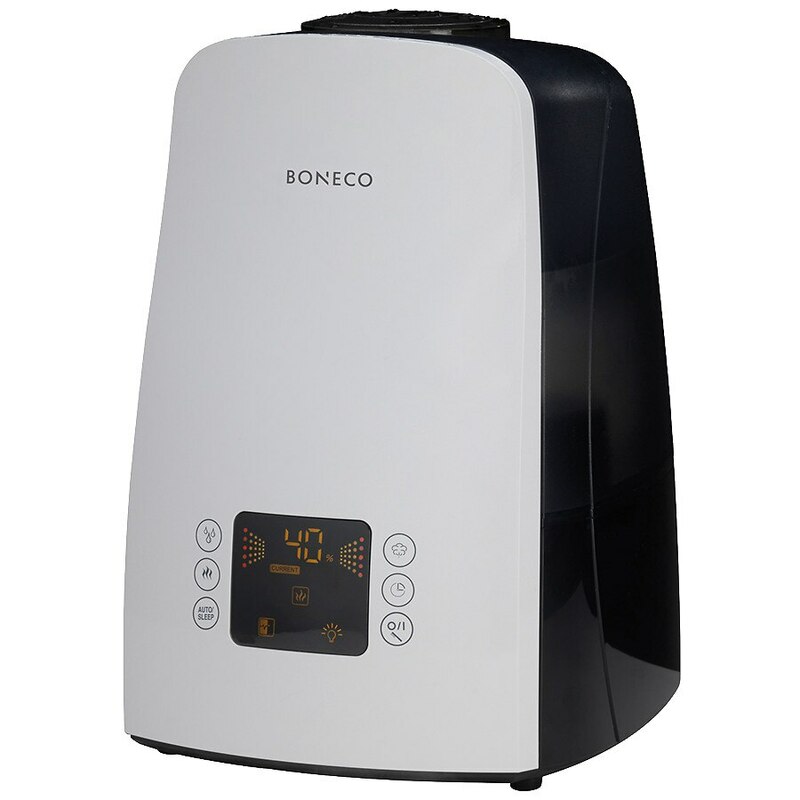 The Hydro Cell uses activated carbon to provide constant freshness in BONECO/Air-O-Swiss humidifiers. Activated as soon as it comes into contact with water, the Hydro Cell helps reduce heavy metals, impurities, odor causing chemicals & pesticides from your household tap water. The plastic housing of the demineralization cartridge is treated with silver (Ag^ Ionic Silver Technology). This inhibits microbial growth on the surface of the cartridge to maximize filter life. Please Note: This item has been built to U.S. electronics specifications and may need additional modifications or converters to be used in countries other than the U.S. and Canada.